I’ve been trying to pick up my writing practice again since I brought my son home from the hospital a few weeks ago. 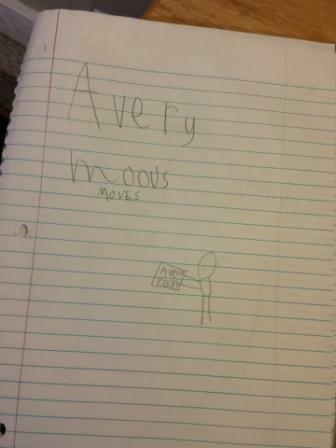 The day of Corbin’s accident, my writing activities came to a screeching halt. For the first week or so after the accident, I was in complete shock. I could barely function, and I couldn’t think past the “right now.” I lived in the moment in a way that I don’t remember ever doing before. Family members brought me books to read, coloring books to scribble in, and yarn to crochet with. I couldn’t concentrate on any of it. After that first week, my brain began to thaw, but I still couldn’t concentrate on anything important. I picked up a crochet hook and some of the yarn that my aunt sent and got my hands busy. Crocheting is good for my anxiety. My favorite pattern involves counting to ten over and over and over again, and I find it strangely soothing. Maybe it’s my OCD. 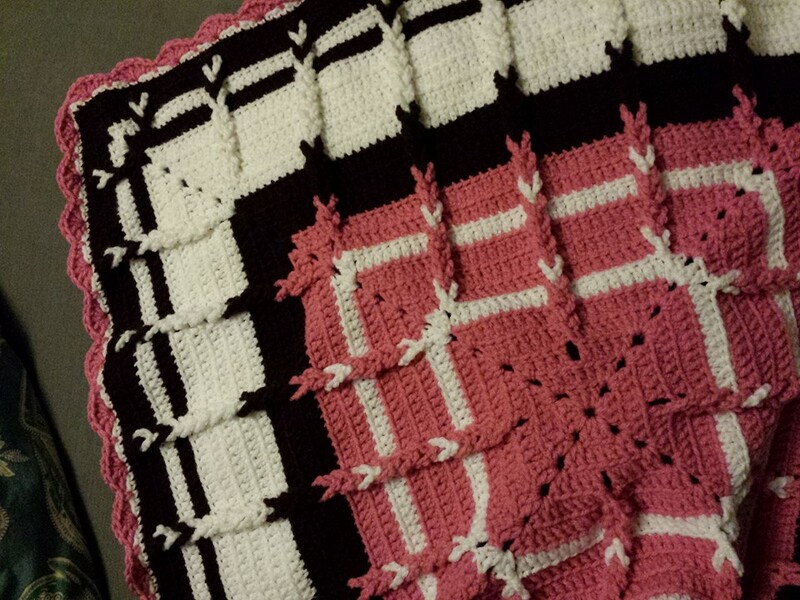 This is the afghan I started crocheting while we were in the hospital. I finished it a few days ago. 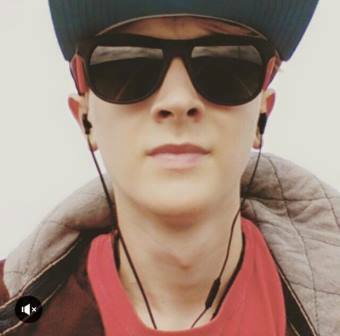 My handsome son before the accident. It’s true what they say about life and dimes. Two weeks ago, plus one day, my life was turned into a violent tailspin when my sixteen-year-old son was hit by a semi-truck while riding his bike. So many things went right that morning, despite the great and horrible wrong that landed us where we are today. The driver of the truck stopped and helped my son rather than hitting him and driving away. Local first responders arrived on the scene in record time and rushed my son to the closest emergency room. A helicopter crew then took my son quickly to another hospital in a nearby city where a first-rate neurosurgeon literally saved his life. Last night, I dreamed I was riding my old horse, Ruby, who’s been gone now for at least a decade. She’s a flighty old nag even in my dreams. Ruby had this annoying habit of flopping her head backward constantly, which always left me with the fear of being head-butted as I rode her. Once her son, Stormy, was old enough, I usually chose to ride him instead when I had the option. I’m feeling a little sad today. The redbud trees are slowly beginning to exchange their flowers for leaves. It may have been cool this week, but summer will soon overpower my favorite season, and we’ll be wilting in the sultry steam of a central Illinois summer. This time of year always reminds me of my Grandma Webster who passed away just over nine years ago now. I was pregnant with my younger son when Grandma left us, so I will always be able to recall just how long she has been gone. When I was a kid, I used to sneak down the hill by Grandma’s house with a pair of scissors and cut a few twigs of blooming rosebuds to surprise her with. Every time, she showed her appreciation for the gesture as if it was the first time. She had a way of making every single one of her grandchildren – so many of us now, I’ve lost count – believe ourselves to be her favorite. To this day, I am still fairly confident that I was Grandma’s favorite. But then again, so is everyone else! 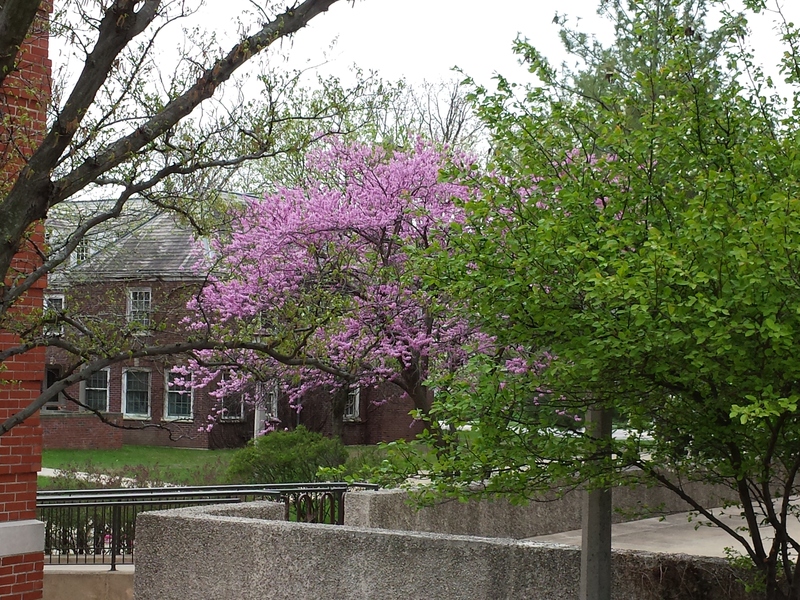 The redbud trees are in bloom all over central Illinois right now, but they won’t last long. Hello again. In case you missed it, last week I posted part one of a writing prompt inspired by Joanne Karpinski’s essay, “Discerning Diversity in America” from Teaching Life Writing Texts (286-291). Today’s writing assignment consists of revising your original essay from last week. If you are just now joining us, please feel free to complete last week’s writing assignment prior to reading the rest of this post. This semester, I am taking a graduate-level course in women’s life writing, partially in an attempt to generate interesting and intellectual content for my blog. Throughout this course, we will be writing “course autobiographies” on some of the texts we are reading. 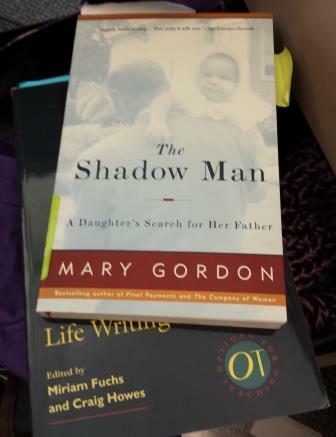 The following is my analysis of Mary Gordon’s The Shadow Man: A Daughter’s Search for her Father. I just barely managed to get these two books purchased in time to get my reading done for class this week. I’m planning to get the rest of my books from the library as I need them. Seriously, who can afford to actually buy books? This semester, I am taking a graduate-level course in women’s life writing in an attempt to generate blog post ideas. I’ve found that I write more when I’m taking classes, so my plan is to just continually take classes for the rest of my life whether I need any more degrees or not. It’s lucky I recently landed a full-time civil servant position at a state university where one of the benefits is free tuition! It’s also too bad you can’t eat tuition, but that’s another blog post entirely.